In this old fashioned poem titled October, a happy little maiden is rustling through the crisp and dried leaves of corn. Frightened by the child, many blackbirds sprang away – whirring into the air so high. 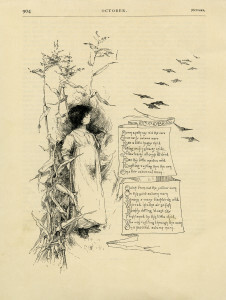 The illustration shows the girl leaning against the tall corn, watching the birds fly away. This aged page is from the October 1885 issue of St. Nicholas magazine. Click on image to enlarge. Thank u 4 sharing. Nice print. You’re welcome Diana. I’m happy to know that you like it. 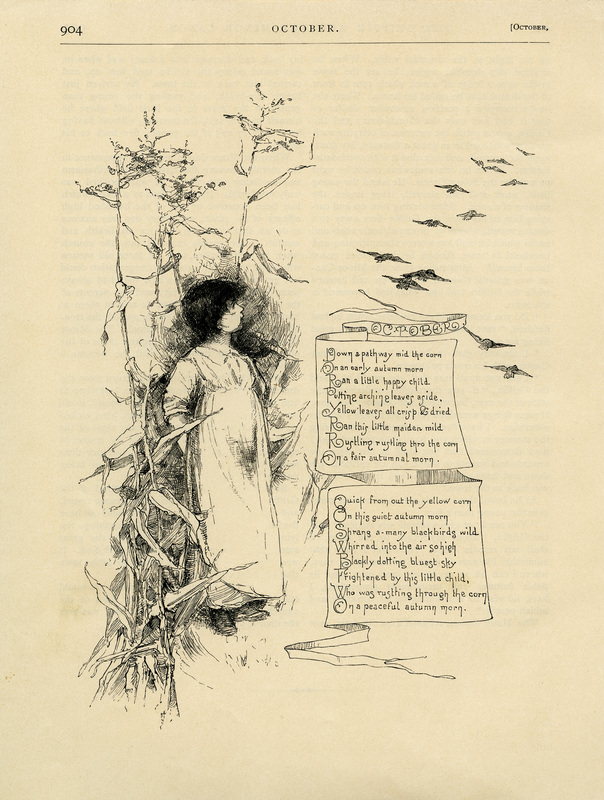 Wow, I love this illustration & poem! I’m sorry but I’m not sure what you can do to print a different size. Perhaps there are settings in your printer menu that you can change to get the results you are hoping for?